Home PnP PowerShell PowerShell SharePoint Online SharePoint Online: How to Change Site Title using PowerShell? SharePoint Online: How to Change Site Title using PowerShell? SharePoint Online: How to Change Title of a Site Collection? Go to Site Settings Page >> Click on "Title, Description, and Logo" link under "Look and Feel"
Click "OK" to save your changes. This changes the site name. Now, lets use PowerShell to change site name in SharePoint Online. 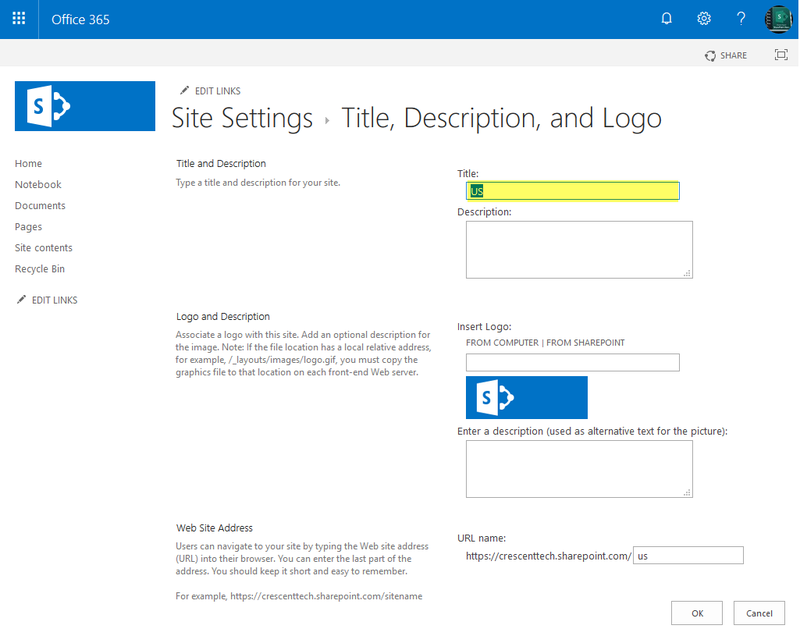 Here is the PowerShell to change site or site collection title in SharePoint Online. This PowerShell changes the site collection name to new name.